Delfin Amazon Cruises has been officially named the only cruise operator in the world to be admitted into the luxury hospitality collection, Relais & Chateaux. Known for its strict admission standards, members of the exclusive group must offer luxurious facilities and haute cuisine as well as unique accommodation such as castles or manor houses. Delfin has been connecting guests with the immense biodiversity of the rainforest, since its first cruise into Peru’s Pacaya Samiria National Reserve in 2006. 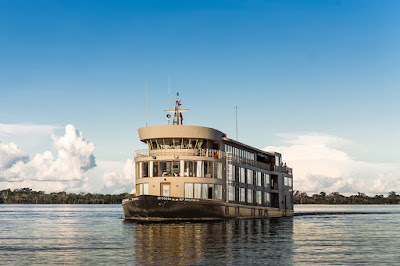 On board Delfin, guests see the flora and fauna of the forest through floor-to-ceiling windows, enjoy oversized suites (some with their own plunge pools) and dine on exotic Peruvian cuisine inspired by the produce of the region. Beyond the comforts on board, guests also experience this remote wilderness through jungle trekking, kayaking and visits to small riverbank communities. “It is a true privilege to join Relais & Chateaux, a collection built on the strict admission standards, impeccable hospitality and refined luxury,” said Aldo Macchiavello, Delfin managing director. Mr Macchiavello said guests of Delfin experience the ultimate juxtaposition where raw natural beauty meets seamless service, sophistication and style. “In between skirting along the river banks in search of wildlife, trail walking through the lush rainforest or admiring Pink River Dolphins, guests will be endlessly delighted by the elegant comforts back on board,” Mr Macchiavello said. Delfin Amazon Cruises is the pioneer luxury river cruise operator in the Upper Peruvian Amazon. 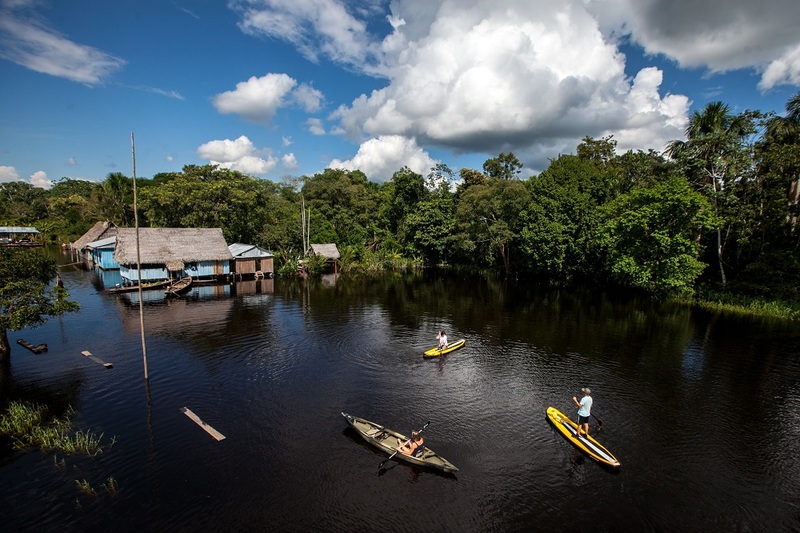 navigates one of the largest protected flooded forests in the world. 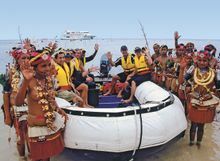 This Peruvian owned and operated cruise company is devoted to personalised boutique travel, ensuring that guests are immersed in an authentic Amazon experience. Australia’s most awarded luxury cruise and tour operator, APT, today released its Small Ship Croatia Cruising itineraries, setting sail in 2019 along the Adriatic Coast aboard the brand new small ship, MV Queen Eleganza. In partnership with Noble Caledonia, APT will be chartering the brand-new purpose-built, yacht-style, small ship along the famed coastline. 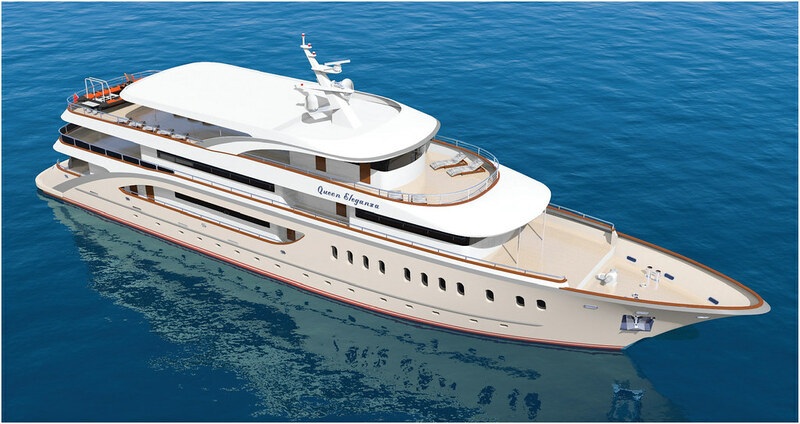 With only 18 passenger cabins, the MV Queen Eleganza will allow exploration of hidden gems that other larger ships cannot access. Thanks to the small group of only 34 guests on board, the ship creates a relaxed, resort-style atmosphere, allowing plenty of access to the ships swimming platform and sun decks. All itineraries offered are exclusive to APT and the hand-picked small excursions have been tailor-made to get the most out of the magnificent coastline. Sail away on a nine-day Croatian Island Discovery, starting at $6,495pp, twin share, including a SuperDeal saving of up to $1,000 per couple. Visit the spectacular waterfalls of Krka National Park; Explore Vis island which has been closed off to tourism until 1989 and has retained its charm; be transported back in time as you visit the UNESCO-listed village of Radošić with its fully restored stone houses. Daytime sailing ensures guest capture the beauty of the coastline, while the ship docks in port every evening to experience Croatian hospitality and nightlife first-hand once the crowds on larger vessels have departed. The brand-new build paired with APT service is the number one way to experience Croatia in 2019. To find out more about APT’s Small Ship program and Croatia in 2019 call APT on 1300 196 420, visit www.aptouring.com.au or contact your local travel agent. It’s the little things that make a Tauck small ship cruise so personally rewarding… and such a memorable cruising experience. Like sailing on yachts and expedition vessels to ports where bigger ships can’t go... with fewer guests onboard, more intimate settings and more personalised service for you. And all-included experiences ashore that inspire with unique access to history, nature, culture and daily life. Creating more cherished memories than you ever thought possible. 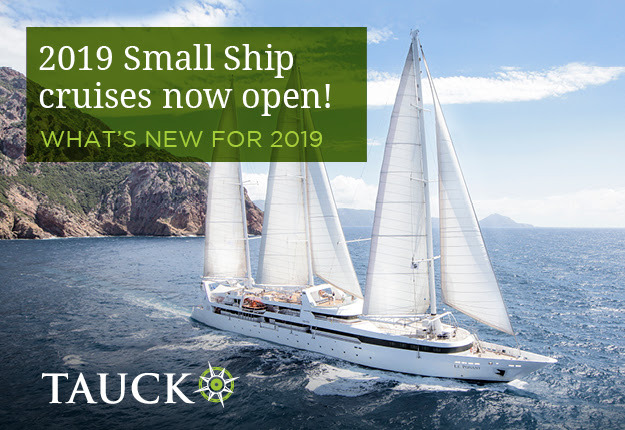 Our 2019 Small Ship itineraries are now open for sale and available to view online. These fill up fast so don't wait, book now to secure your preferred departure date and cabin of choice. Go beyond the ordinary on our cruise ship tours around the globe...17 Tauck small ship itineraries aboard our hand-picked small luxury cruise ships, including some of the world's finest yachts and expeditionary vessels! Guests on Windstar's 51-day Grand Mediterranean adventure will embark the 310-passenger MSY Wind Surf on 7 July 2019 in Europe's westernmost port of Lisbon, Portugal, prepared for an epic journey visiting the best ports in central Europe sailing across the culturally-rich Mediterranean, one of the world's most beautiful seas. 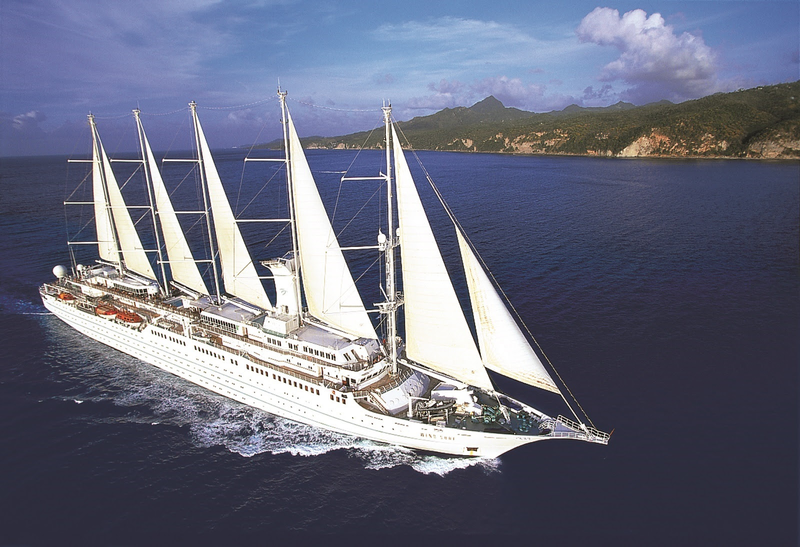 An equal match, the majestic Wind Surf is the world's largest sailing ship at 14,745 gross tonnes, 188 metres in length with 2497 square metres of crisp new sails soaring 67 metres skyward. The ship will traverse the vast inland ocean during the cruise high-season on a comprehensive Mediterranean voyage. The cruise will call at popular ports and hidden harbours in Portugal, Spain, Gibraltar, Malta and Italy, sailing to the farther reaches of Croatia, Montenegro, Greece and Turkey, and then doubling back for more cultural immersion and travel delights in Monaco and France before landing in Barcelona on 27 August 2019; eight weeks of a once-in-a-lifetime discovery spanning nearly 9500 nautical miles. "We believe that no one goes further to get our guests closer to the destinations where we sail. An incredible cruise like our 51-day Grand Mediterranean cruise on a sailing ship is exactly what people who love to travel live for," said Windstar President, John Delaney. "Our beautiful Wind Surf is recognised around the world. Guests will be totally immersed in the region sailing on her for two months, with more than 40 ports of call to share authentic experiences and adventures with loved ones while laughing with locals. Not one day will be like the next, and that is the magic of cruising with Windstar — we're 180 degrees from ordinary, no matter where we sail. This Grand Mediterranean journey represents the best of the best chock-full of culture, cuisine and camaraderie." Travellers aboard Wind Surf will be immersed in the romance of travel by sea and sail, cruising into major cosmopolitan cities such as Rome and Athens and gliding into impossibly quaint harbours to mirror the towering town spires of coastal gems like Sanary-sur-Mer, France and Rovinj, Croatia. Windstar's curated collection of shore excursions provides cruisers with hundreds of choices that span the spectrum from docent-led tours to Picasso's Museum in Málaga to ocean kayaking in Palma de Mallorca or pesto-making lessons in Portofino. The ship's Captain will introduce present-day explorers to Windstar's unique Open Bridge, sharing nautical charts and marine weather reports, a novel concept, only for those on cruise ships of a certain size and stature. The ship's innovative Water Sports Platform gives new meaning to a view from the water; when anchored cruisers can dive into the Mediterranean to play with complimentary water toys, stand-up paddle boards and water skis. The 51-day sailing is a marquis cruise; part of Windstar's popular Star Collectors Voyages that combine shorter sailings and includes a free Laundry Package for each stateroom and suite throughout the cruise - a real benefit on a long sailing. The two-month Grand Mediterranean cruise on Wind Surf encompasses six cruise itineraries varying from seven to 10 days in length that are linked together to create this blockbuster journey across the Mediterranean. Kicking off with the 8-day Spanish Symphony from Lisbon to Barcelona, regional styles and influences of culture and flavours overlap as Andalusian tastes transform into Riviera glamour followed by Italian chic, serene Greece and colourful Turkey. Key regions visited on the impressive tour of the Mediterranean include the French and Italian Rivieras, the islands of Spain, and the islands and coastal ports of the Adriatic and Aegean Seas. The 10 countries visited over the course of the northern summer's ultimate itinerary include Portugal, the British Territory of Gibraltar, France, Monaco, Italy, Croatia, Montenegro, Malta, Greece and Turkey. The mix of 42 ports is evenly distributed based on country size and offers a thoughtful balance of large port cities that have it all and small towns brimming with personality. In 2019, Wind Surf will offer a total of 44 cruises visiting European ports from April through November including the epic Grand Mediterranean voyage, with all itineraries now open for reservations. 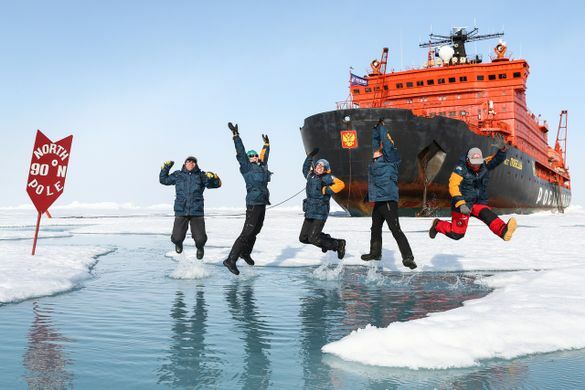 Expedition travel companies build fleets of adventure ships which are able to make it deep into ice-covered Arctic waters. 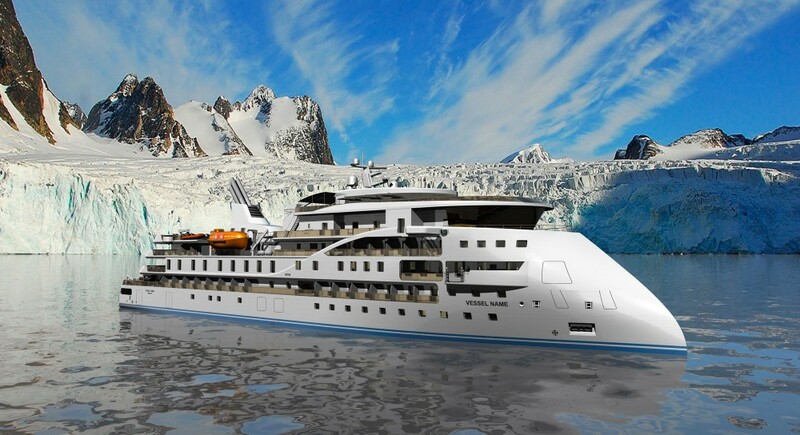 "We are thrilled to announce the name of our new polar ship: National Geographic Endurance, said Sven Lindblad, President and CEO of Lindblad Expeditions, in a keel laying ceremony in Gdynia, Poland, this week. Kara Weller to head Discovery Team for Scenic Eclipse. 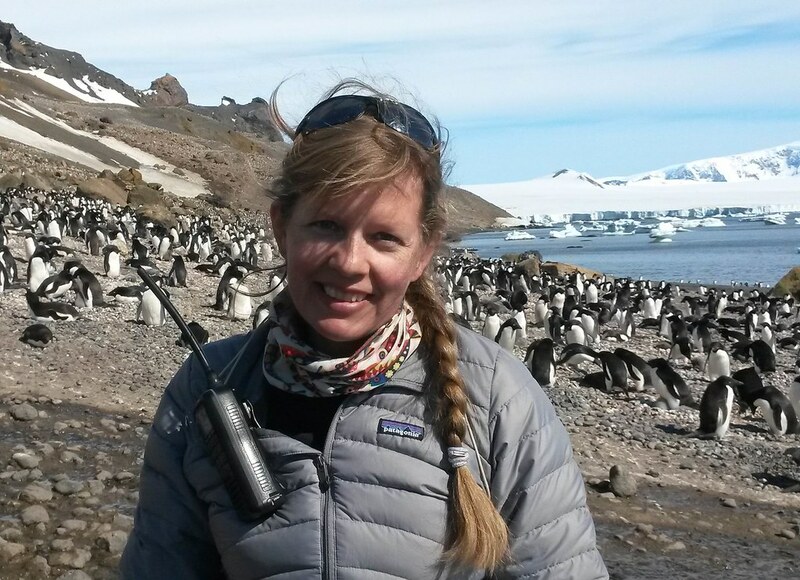 On board Scenic Eclipse, Kara will be responsible for managing the 16 member Discovery Team, facilitating Zodiac and kayak excursions, guiding onshore explorations and hosting onboard lectures on the Antarctic and Arctic regions. She will be assisted by a group of highly experienced naturalists, including a marine biologist, glaciologist, historian, ornithologist and geologist, as well as a fisheries and underwater expert, dedicated kayaking guides and Zodiac drivers. Kara said she was looking forward to stepping foot on board Scenic Eclipse when it debuts on 31 August. “Scenic Eclipse is the most incredible looking ship I have ever seen. I have worked on 15 to 20 different expedition ships in the polar regions and this is by far the most amazing ship that's going to be down there,” she said. Expedition cruising is enjoying a renaissance of sorts fueled in part by growing consumer interest in transformational and experiential vacations offered in far-flung 'bucket list' regions around the world. 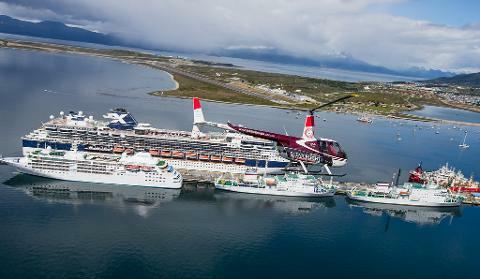 The once sleepy port of Ushuaia is now one of the busiest. out for the Antarctic Peninsula or South Georgia. The looming threats of global warming and climate change on earth’s ecosystems are also spurring visitation to unspoiled and pristine regions that could potentially erode or disappear. Peregrine Adventures and MiNDFOOD are offering one lucky MiNDFOOD reader an eight day cruise for two, valued over $10,000. Sailing Thailand's picturesque west coast Islands, aboard Peregrine's Panorama II, with return economy flights included. Peregrine Adventures has just released an exciting new range of Asia Adventure cruises. Picture the same premium small ship cruises, except this time they're visiting some of Asia's best tropical islands and most exotic coastlines. The Panorama II will be your home on the seas for eight days as you take in some of the most spectacular islands off Thailand's west coast. 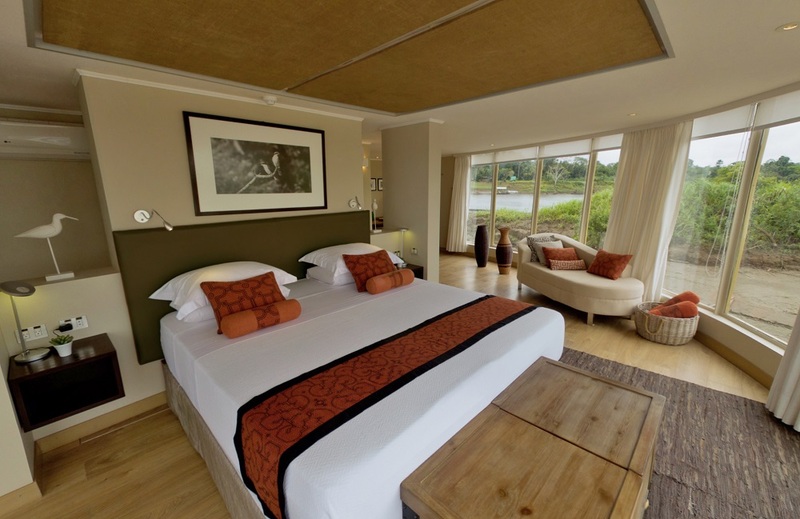 The ship is equipped with 25 well-appointed cabins and a spacious upper deck. The new eight-day round round-trip adventure takes you to stunning beaches and quaint villages on the less-visited isles of Similan, Ko Miang, Ko Surin Tai and Khao Lak. Each of the islands offer all the hallmarks of Thailand's idyllic south. 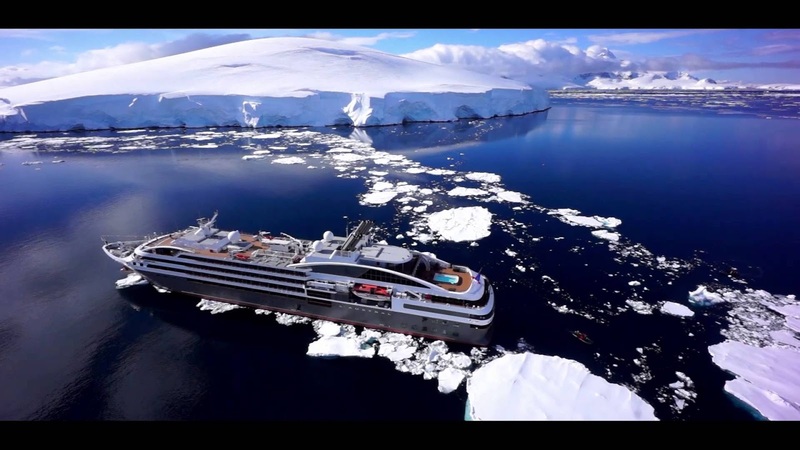 PONANT announces an exclusive collaboration with the sailor, mountaineer and explorer Jean-Louis Étienne, during unique cruises to the Antarctic Peninsula and the Aleutian Islands. 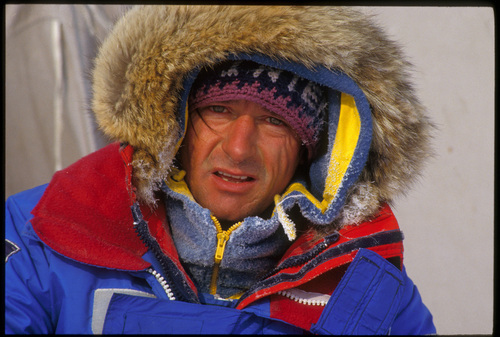 The only French shipowner to sail in the icy regions announces a collaboration with Jean-Louis Étienne, the first man to have reached the North Pole solo and to have made the longest crossing of Antarctica with a dog sled. The PONANT expedition cruises with Jean-Louis Etienne will allow passengers to benefit from the combined expertise of PONANT and this great explorer on the subject of the ecosystems of the polar regions, notably through a number of conferences aboard ship. Jean-Louis Etienne has always followed his dreams, forging new routes during expeditions that have become legendary. 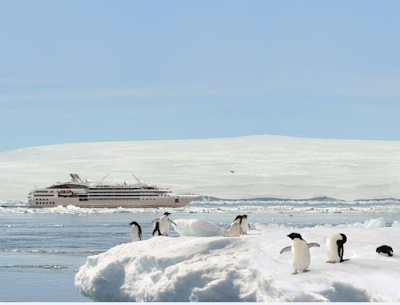 "I am delighted to work with PONANT and thrilled by the idea of sharing my passion for the Polar regions with guests. PONANT is renowned for its great expertise in polar expeditions, and we share a great respect for these fascinating regions as well as the pioneer spirit that typifies explorers and great sailors" said Jean-Louis Étienne. 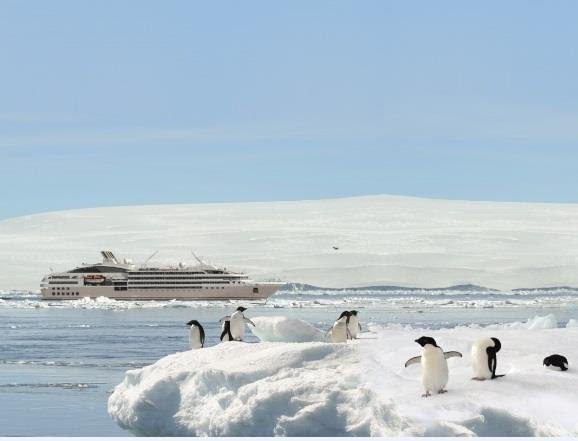 "Not only do we share a fascination for the polar regions, but PONANT also shares with Jean-Louis Etienne profound convictions about environmental issues as well as a certain vision of travel, inspired by so-far unexplored destinations," said Jean-Emmanuel Sauvée, CEO of PONANT. In September 2013, the company notably achieved a successful crossing of the North West Passage, with Le Soléal becoming the first French civilian ship to sail this famous waterway. Filmed in 2014 by Ponant, the use of recreational drones by passengers is no longer allowed by the governing bodies of both Arctic and Antarctic tourism. But the vision is so beautiful, I'm glad we have this to share. Enjoy! As PONANT celebrates its 30th anniversary this year, the company announces an order for a further two additional ships in the PONANT EXPLORER series. The only French cruise ship owner is consolidating its position as the world leader of luxury expeditions with a fleet that will consist of 12 ships by 2021. The latest order has been placed for two additional sister-ships, delivery of which is scheduled for the first and second quarters of 2020. Like the four previous vessels, the construction of these two new ships will be entrusted to Norwegian shipyard Vard, part of Fincantieri Group. Combining moderate size (just 92 staterooms and suites, each with a balcony), refined design, cutting-edge technology and respect for the environment, they will comply with the international CLEANSHIP label (Bureau Veritas). 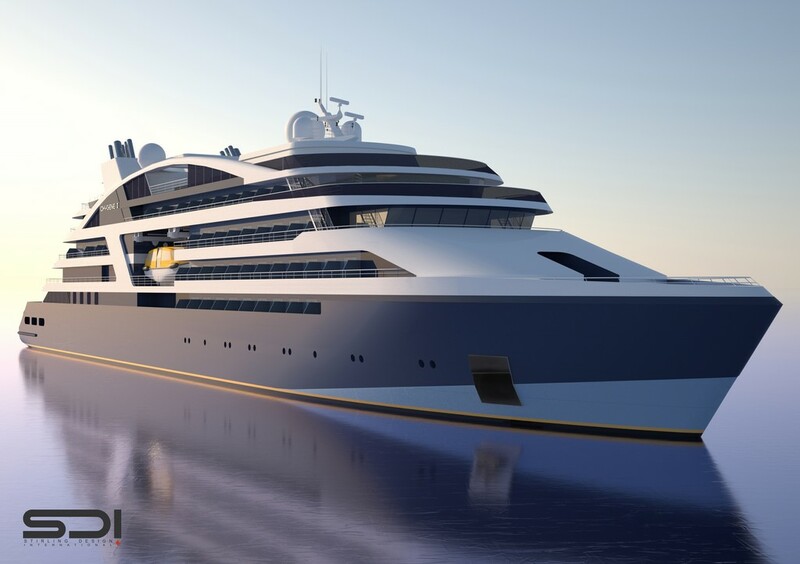 The six PONANT EXPLORERS fleet will be fitted with a world first: the “Blue Eye”. This multi-sensorial underwater lounge, a major innovation, will allow passengers to discover and experience the underwater world via two portholes in the form of a cetaceous eye, looking out on to the seabed, non-intrusive underwater lighting, and hydrophones integrated into the keel that retransmits the natural symphony of the deep water, as well as Body Listening sofas, offering a unique sensorial listening experience by corporal resonance. A journey to the Top of the World featuring the North Pole is one of the world's greatest expedition cruises. And in a major coup for Australia's tourism industry, Kimberley cruising in Western Australia runs a close second in the list of the 10 most highly rated expedition cruises worldwide. The world's Top 10 was announced by the leading experts in this exclusive field, Expedition Cruise Specialists. General Manager Andrew Castles revealed the rankings which were based on each destination's “wow factor”, affording traveller's unique life experiences. For generations of explorers and adventurers, a journey to the Arctic and the North Pole has been the ultimate expedition. Mr Castles said: “Pristine landscapes, bountiful wildlife, indigenous tribes, polar bears and natural phenomena give the Arctic a unique appeal and make it the world's best expedition destination.” Getting to the North Pole is difficult, but the world's most powerful icebreaker, the nuclear-powered 50 Years of Victory, makes it possible. 9. ICELAND AND NORTHERN LIGHTS Iceland is the new wonder destination for expedition travellers. Mr Castles said this one off expedition combined the unforgettable waterways of the region with the fjords of Greenland, remote settlements and the chance to experience the famed northern lights. ”There is nothing else quite like it,” he said. 10. KIRIBATI'S SOUTHERN LINE ISLANDS Way out in the Pacific is a remote region which is virtually unknown to most adventurers. However Mr Castles said the “wonders of this amazing paradise were both above and below the water.” Aboard National Geographic Orion you will discover that the notion of tropical paradise is alive and well - as are some of the world's best dive and snorkel sites. 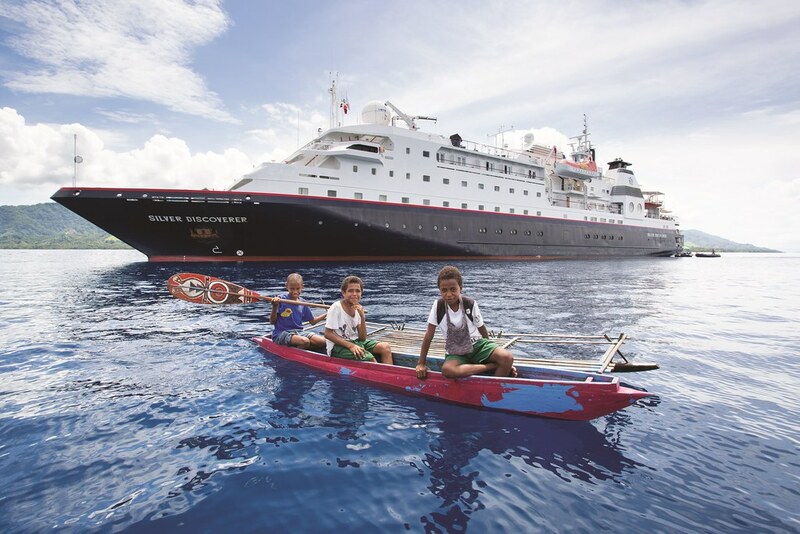 The expedition explores from Rangiroa's sparkling lagoon to the verdant peaks of Tahiti's neighbor, Moorea. This voyage maximises your time in some of the most vibrant undersea sites in the world. Plus, there's time to stroll pristine beaches, kayak peaceful coves, and experience true Polynesian hospitality. Fred Olsen Cruise Lines has revealed its intention to build a series of 600-passenger "exploration" vessels – the first of which its chairman hopes could be delivered within “the next couple of years”. We can only guess at the design, as very few true 'expedition' ships are catering to 600 passengers. 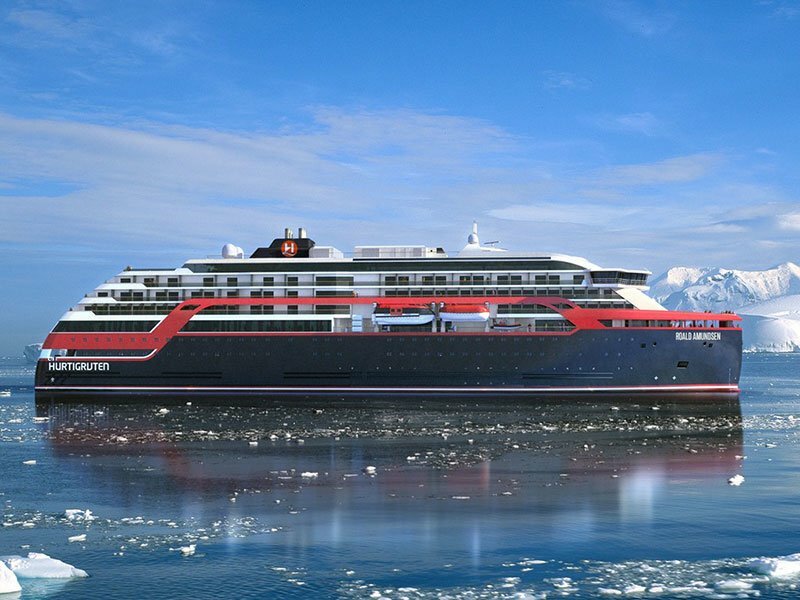 Hurtigruten has delayed the launch of its new expedition cruise ship, the Roald Amundsen, until 2019. The vessel had been originally slated for delivery this year, 2018.